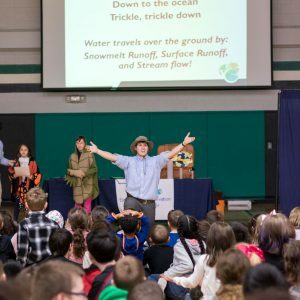 Windsor – ENWIN Utilities Ltd. (ENWIN) announced a proud partnership with Essex Region Conservation today to support an educational program delivered in a fun and informative presentation to primary students (K-4) across Windsor-Essex. 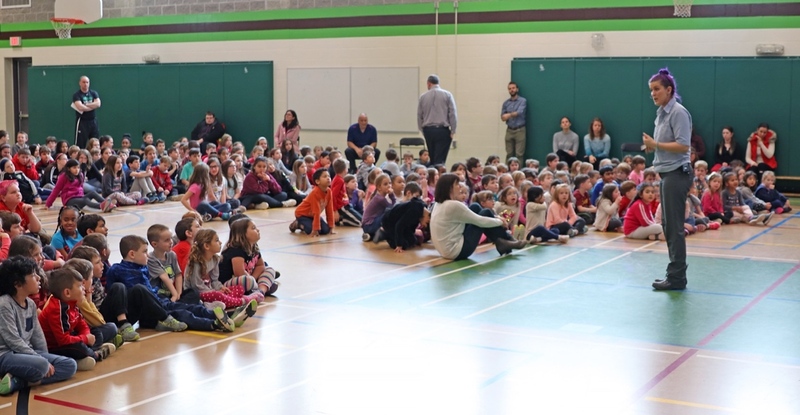 “We are so grateful to ENWIN Utilities for their incredibly generous partnership which allows us to deliver the Earth Day Travelling Road Show to 4,000 students across the region,” said Susan Stockwell Andrews, President of the Essex Region Conservation Foundation. 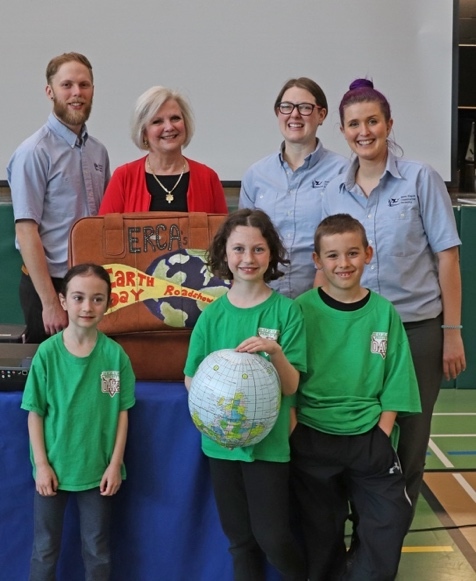 Barbara Pierce Marshall from ENWIN (left) presented Susan Stockwell Andrews (right) of the ERC Foundation with a cheque of $10,000 which will support the Travelling Road Show. 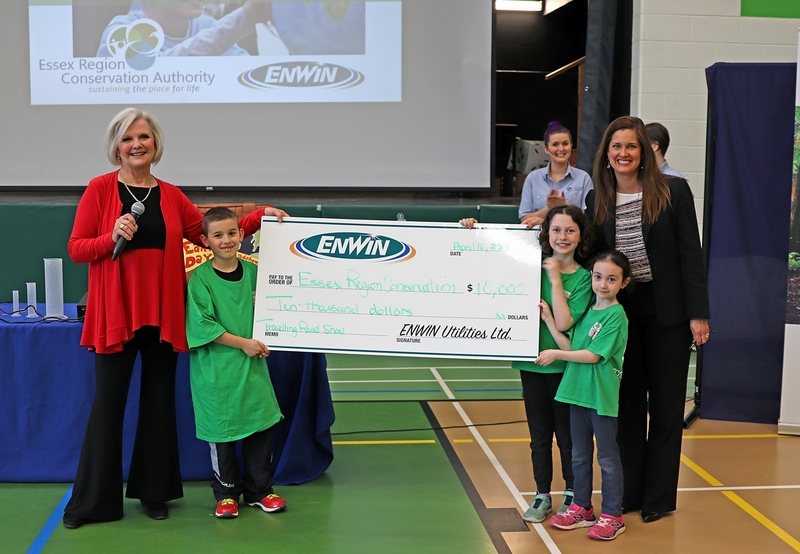 About ENWIN Utilities Ltd. (ENWIN): ENWIN is a licensed electricity distribution company, serving customers in the City of Windsor. ENWIN is also is the licensed water system operator for the water system owned by Windsor Utilities Commission. 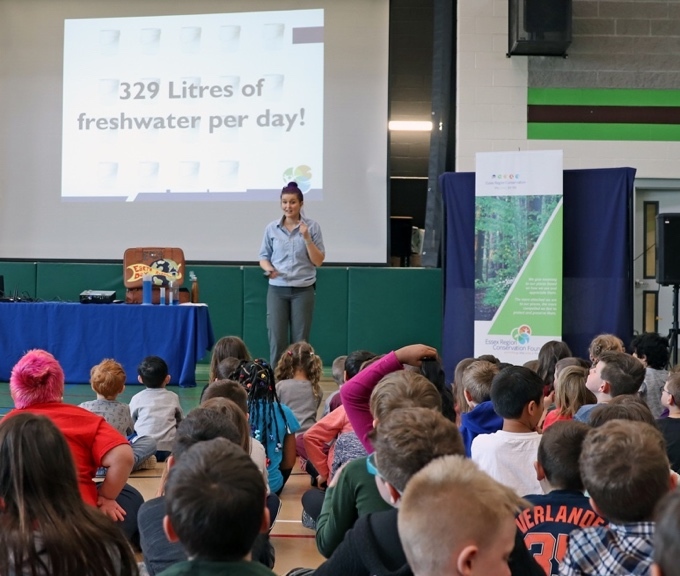 ENWIN works with Windsor to provide a safe, reliable source of electricity and water for our community. 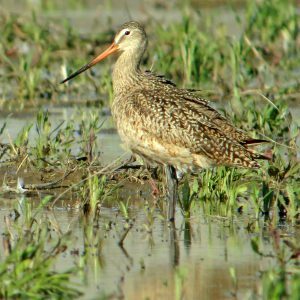 About Essex Region Conservation Authority (ERCA): Since 1973, Essex Region Conservation has been sustaining and enriching the environment of the Windsor-Essex-Pelee Island Region as the Place for Life.